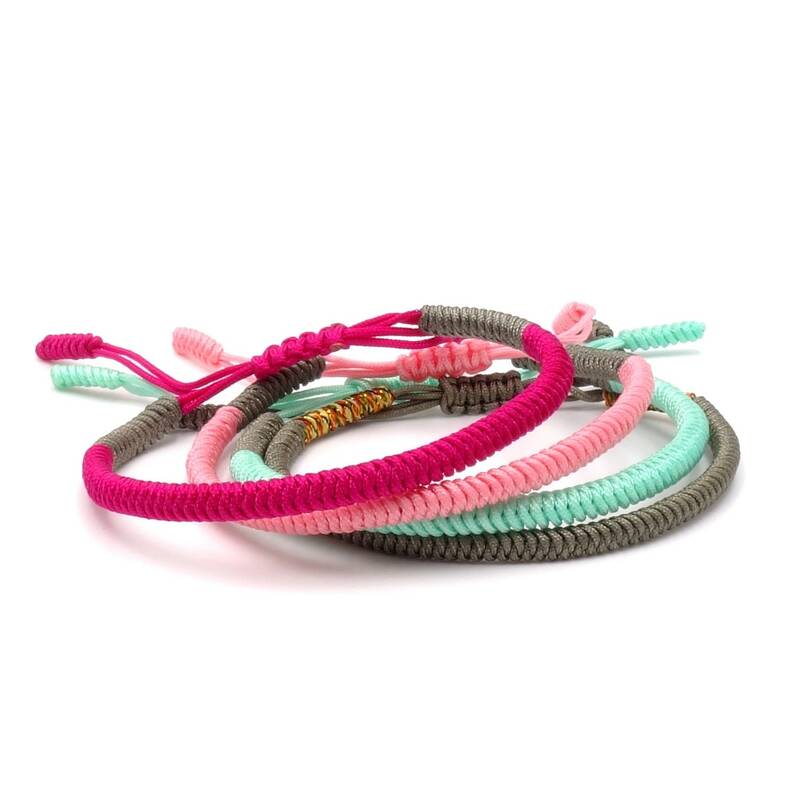 This great lucky bracelet set is made in loving craftsmanship from high quality materials and radiates harmony and serenity with its elegant colours. 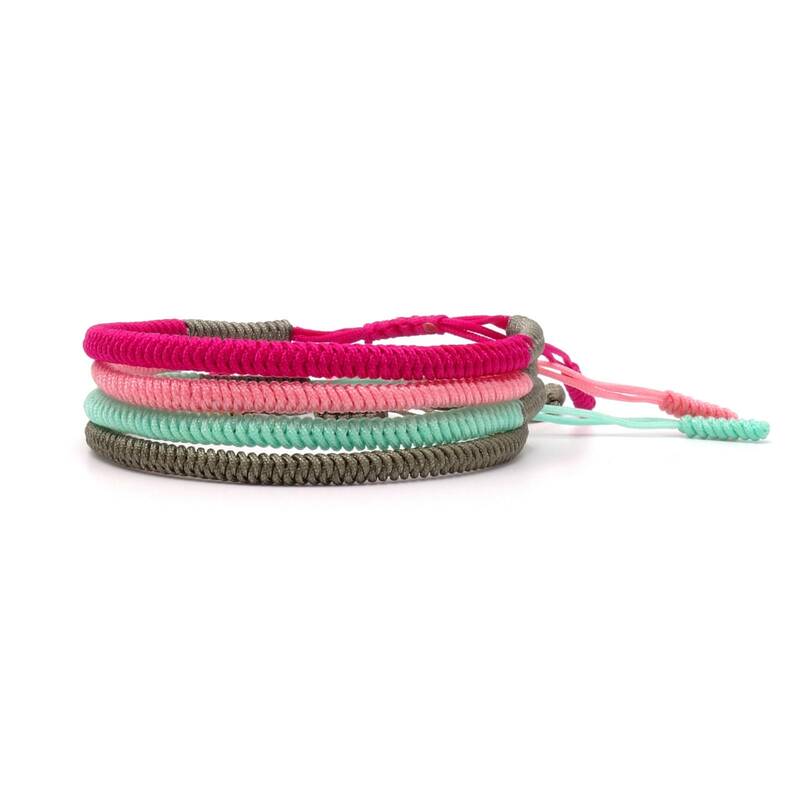 You get 4 bracelets that fit perfectly to each other and are perfect for friendship bracelets. 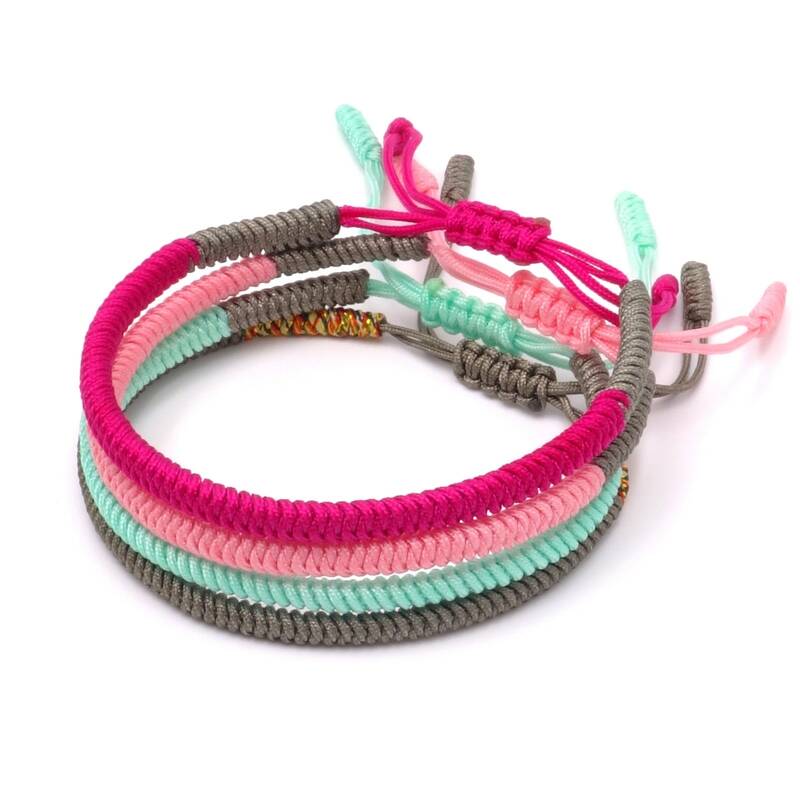 The bracelets are continuously adjustable between 16-24 cm, so a comfortable wearing is ensured. This set is packaged in style, ready to give away. Superschnelle Zustellung, liebevoll verpackt und sehr schön geflochten. 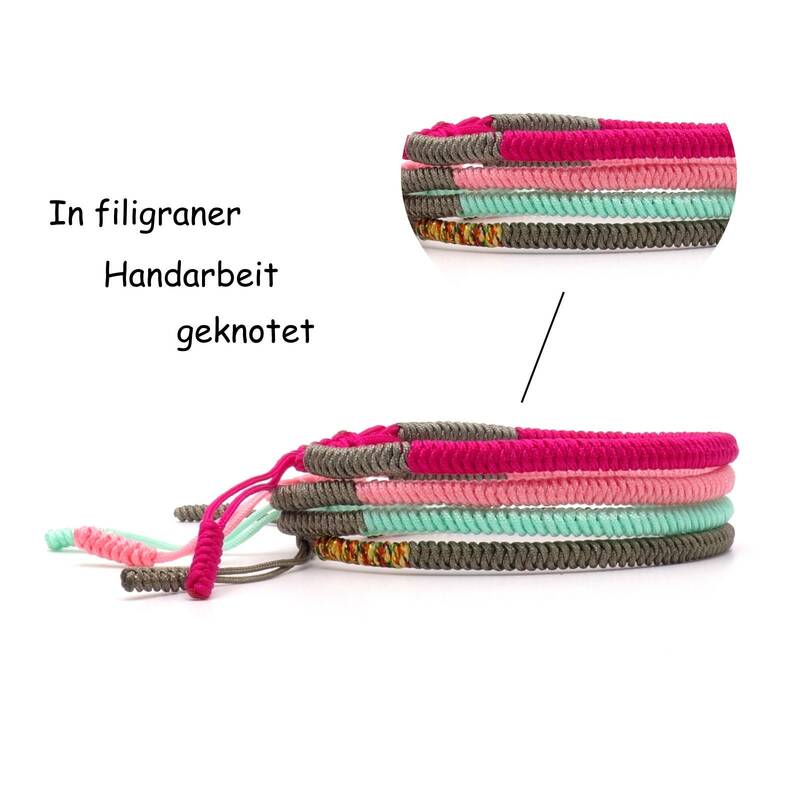 Auch die bestellten Choker sind super und ich freue mich schon aufs Verschenken bzw. Selbertragen. Vielen Dank!